Thomas is a Lecturer, Electronics and Computer Engineering Dept, and a member of the Centre for Robotics and Intelligent Systems (CRIS) research team. His work is the area of power electronics and electric vehicles with an emphasis on charging infrastructure with intelligent and connected vehicles, intelligent chargers and their communications network. Thomas received the B.Eng. degree in electronic engineering and the Ph.D. degree in detection methods for magnetic recording channels from the University of Limerick, Ireland, in 1991 and 1996, respectively. He joined Hewlett Packard CPB, Bristol, in 1991 and worked for two years on the design and development of tape drives for computer storage. From 1996 to 1998, he worked as a senior design engineer with Analog Devices B.V. Limerick, Ireland and Adaptec Inc., Longmont, CO, USA on disk drive read channels and controllers. 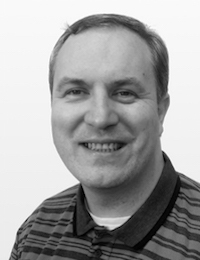 Since 1999, he has been a lecturer in the ECE Department, University of Limerick, Ireland and has lectured on VLSI and analogue IC design, information theory and coding, and more recently power electronics and electric vehicles. Further information can be found on Thomas UL Research Profile.